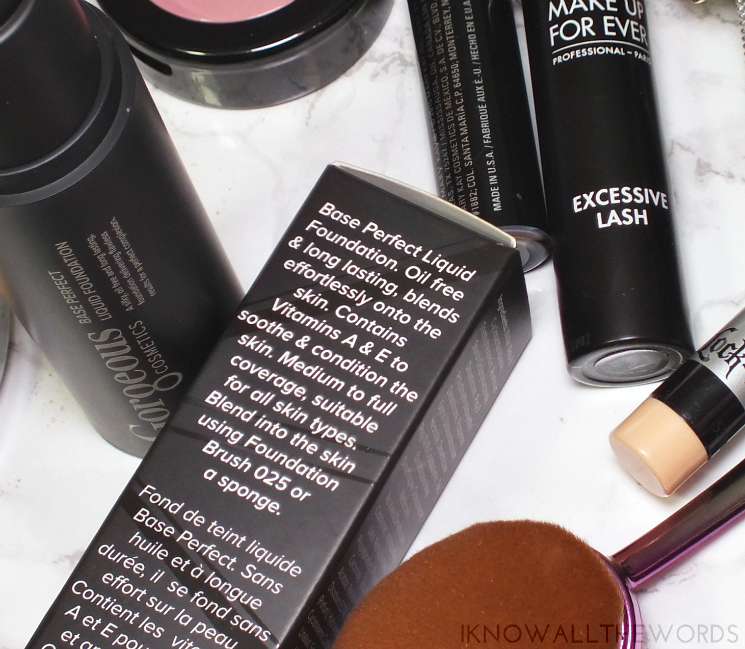 It's a foundation kind of day, is it not? 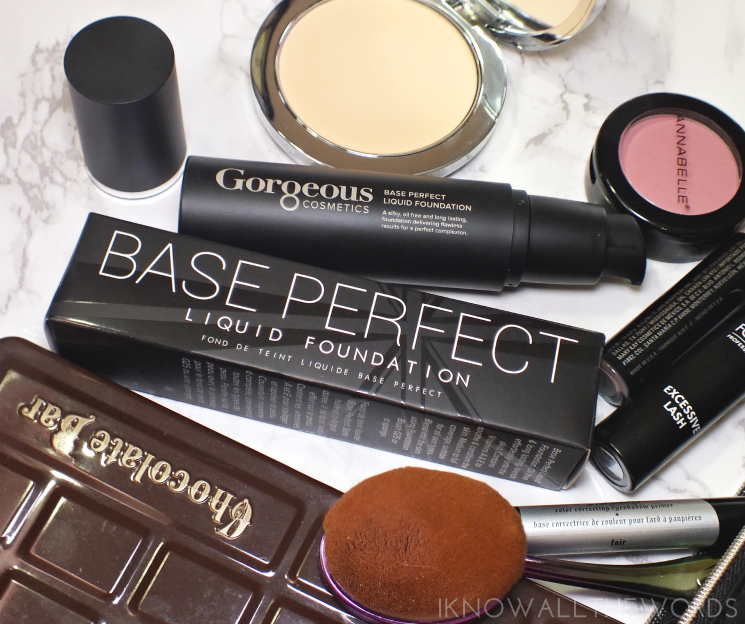 It's been a minute since the I've added a new foundation to my routine, but I've been using the Gorgeous Cosmetics Base Perfect Liquid Foundation for a month or so and it's about time we chat it up. Or, I chat, you read. Whatever... Read on! 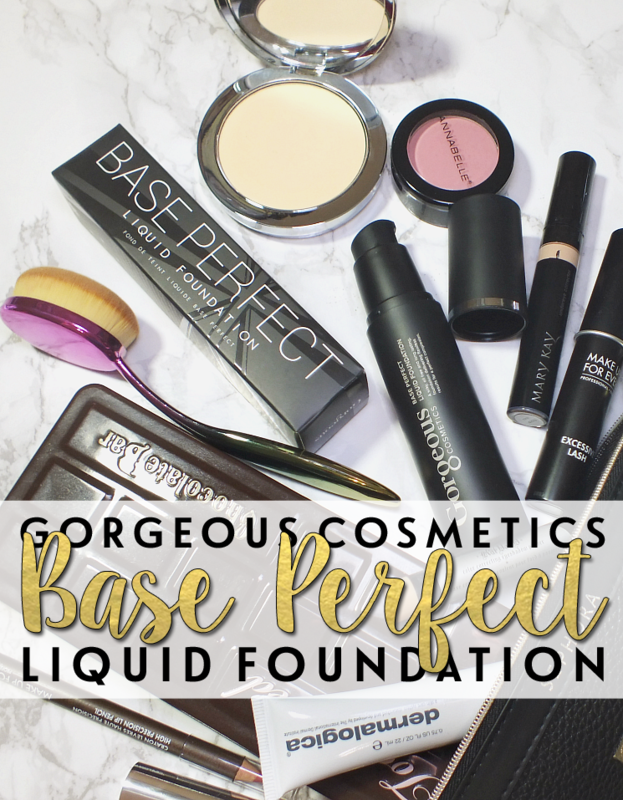 Between the brand name, and the product name, you can't help but expect good things from Gorgeous Cosmetics Base Perfect Liquid Foundation. I know I was quite interested to see exactly what it had to offer. So, what's going on inside that opaque black bottle? The foundation hailed as a long lasting, medium to full coverage, oil free formula with 'special pigments amplify the light and diffuse blemishes' and 'give skin a healthy luminosity' with added vitamins A & E to sooth and condition skin. Sounds promising, no? Verdict? I like it! I didn't find it gave medium to full coverage, but I prefer something lighter anyway. 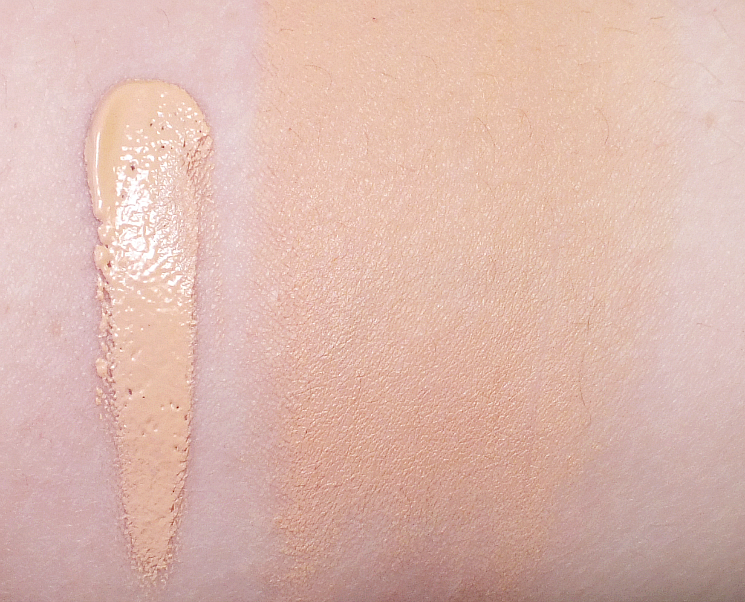 It applies with light coverage, but is biddable to medium with no hassle (aka caking or unpleasantness) The formula is dry skin friendly, as I found it wore well and applied smoothly on prepped skin without accentuated drier areas. It doesn't feel dry throughout wear, and foes last all day. It is one of those foundations that looks just as good at the end of the day as when first applied. The finish is completely natural, as it's not dewy, but not matte, but instead just looks like skin. When blended (I've been using an oval brush or a sponge) it looks seamless on skin and does make strides towards it's name- perfect(ion). Overall, I really like the formula. I'm not sure what I think about the opaque bottle though... The pump is great, and the plastic makes it light and great for travel. I guess I'm just too used to being able to see my foundation. What do you think? tried this or any other products from Gorgeous Cosmetics? What foundation have you been loving lately?